She may be recognised across the world as an international tennis star, but Andrea Petkovic's interests also extend to football, specifically to the Bundesliga and her beloved SV Darmstadt 98. On Friday, Petkovic was one of the thousands of fans heading to Darmstadt's Merck-Stadion am Böllenfalltor for the Matchday 14 draw with 1. 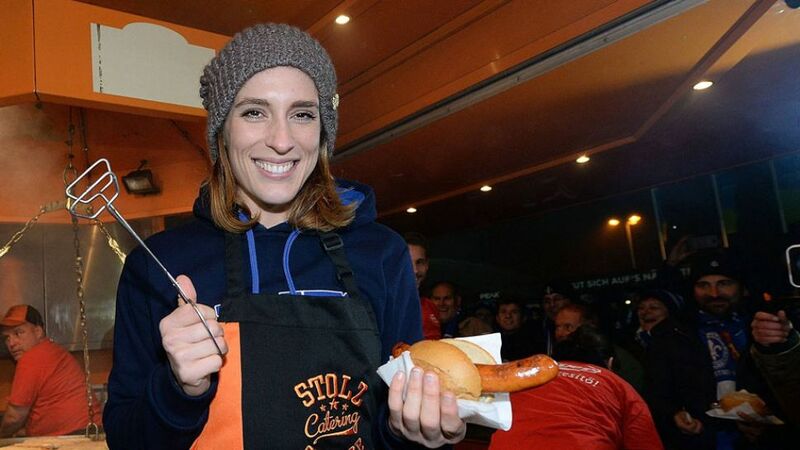 FC Köln, where, in settling a bet she made with Darmstadt coach Dirk Schuster, she manned the grill and served food to the fans. Because the Lilies drew 2-2 draw with Hannover 96 on the season's opening day, home supporters were able to enjoy being served by the world-famous tennis star. In the meantime, I've already started practicing on the grill! This was Petkovic tweeting her joy when Darmstadt were promoted to the Bundesliga back in May. "[We're in the] Bundesliga, you understand!?" In an interview with Germany newspaper Die Welt in 2012, Petkovic also revealed that she’d put Borussia Dortmund defender and Germany FIFA World Cup winner Mats Hummels in her world footballing XI – “He’s a handsome guy, despite that Picasso beard” – as well as FC Bayern München midfielder Xabi Alonso. “Great beard and he oozes cool.” What would she make of Marco Sailer's beard, we wonder?